WHEN tourist Scott Sewell picked up his rental car, he noticed a tiny issue he didn't think was a big deal. The car had a crooked steering wheel, but he reckoned wouldn't affect the car's performance - and it didn't. But after he returned the car and copped a $1400 extra charge from the rental company Mr Sewell's classic rookie error was exposed - one he needed the help of non-profit consumer rights group Elliott Advocacy to help fix. Mr Sewell said he noticed the steering wheel was misaligned as he was driving it out of the car park of rental car company Alamo in Washington DC. He didn't say anything, assuming it would be fine. "It wasn't a concern since the vehicle seemed to track consistently," he said. Alamo, like most other car rental companies, holds renters responsible for damage noted after they return the vehicle. The massive $1395 bill from Alamo's parent company Enterprise came after Mr Sewell returned the car six weeks later. Enterprise told Mr Sewell he had to cover the cost of replacing the car's rack and pinion system. Basically, it held him responsible for the crooked steering wheel, because even though he says it was like that when he got it, he didn't make it clear it was already like that. 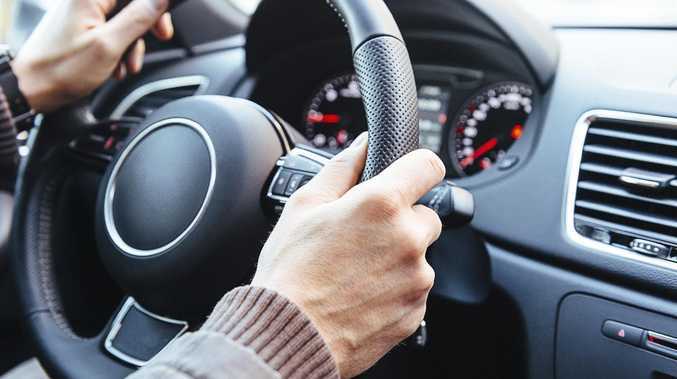 After a back and forth with Enterprise's damage recovery unit, in which Mr Sewell denied responsibility for the misaligned steering wheel, it appeared the company was determined to hold him responsible. "Our cars are thoroughly inspected upon return every time," the company responded to him in an email. "If damage was missed and pointed out immediately we would look into it. Our dispute team looked into this, and there was no damage prior to your rental." Enterprise threatened to report him to a credit agency and add him to its "Do Not Rent" list. Mr Sewell initially agreed to pay a lesser cost of $693, but contacted Elliott Advocacy for help in fighting the charge, confident he'd win in court. Christopher Elliott from Elliott Advocacy said when it came to the car rental industry, the customer was often guilty until proven innocent. "For this particular Alamo car rental problem, there was only one thing Sewell could have done to avoid this," he said. "He could have returned the car and asked for a different one." And he said that was a lesson for everyone. "If you catch even a whiff of a problem with your rental car, return it immediately. That can range from 'it drives funny' to 'this light keeps flicking on'. A crooked steering wheel is definitely a cause for concern," he said. Mr Elliott said before and after photos were always a good idea, as they could prove a ding or scratch were already there when the customer took responsibility for the car. But since this was a mechanical issue, photos would be useless anyway. "Car rental companies know how effective threats to your credit score are in getting you to pay up," he said. "They also know that you don't have the resources to fight a claim like this in small claims court. "Enterprise won this round, even though it had handed Sewell the keys to a car with a crooked wheel." Mr Elliott contacted Enterprise, the parent company, and it agreed to drop its claim and refund Mr Sewell the $693 he'd already paid and not report him to a credit agency. "Had Alamo been able to substantiate this claim, I would have advised him to pay the claim," Mr Elliott said. "But there was just too much doubt about this Alamo car rental problem." The bottom line is this: if you're renting a car, or anything, speak up about any imperfections before you walk away with it, even if it seems like no big deal - it will be very hard to prove you weren't responsible once you hand it back.